Have a sick machine? Or is it just time for it's annual check-up? Bring it to us! No appointment needed, you can bring it in anytime and there is always an employee who can give you an estimate (for free.) Every employee here is trained on the machines and if it's something simple we can fix on the spot there is no charge for our labor! 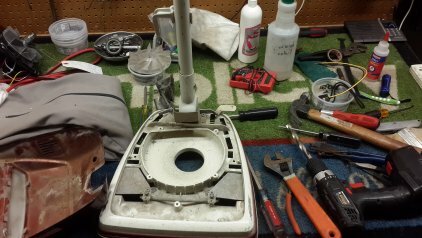 If we need to write it up and put it in line for the repairman to look at it the base rates range from $79-149 depending on the type and size of machine. Parts are additional. 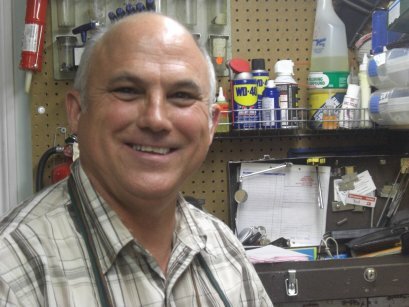 Ted has been in the business of repairing machines since 1977. He started his own repair business in 1985 and has "retired" a couple times since then but just can't stay away from fixing machines. Ted is now a free-lance repairman for a couple stores in Southern California. He does all our repairs here in the store and comes at least once a week (sometimes twice if needed.) He enjoys coming in the early morning hours long before the store even opens so he can work on as many machines as possible in the peace and quiet. Ted has been factory-trained and certified by every brand of machines and keeps up with all the most recent training's from each company. Since he is a factory-certified technician he has access to genuine replacement parts instead of generic which guarantees that your machine is getting the best quality treatment possible. What should I bring with my machine to have it serviced? When bringing your machine in to have it looked at you should bring everything that we'll need to make a zigzag stitch. Including the power cord, foot control, bobbin and bobbincase, presser foot and needle. If you are having a specific problem bring in a sample of the fabric and thread you are using and an example of the problem you were having. You may bring your machine in a case or not, we will mark on your paperwork everything you leave to make sure you get it all back. You do not need to bring in the manual or accessories. If the repairman needs a manual, this probably shouldn't be his day-job. If you have an embroidery machine, you should bring the embroidery unit and hoop with it so that he can service both at the same time. What's included in the base service? A regular service includes a thorough cleaning, necessary lubrication and any minor adjustments. He will take off the covers and make sure everything inside is clean, oiled and working in tip-top shape before putting everything back together and testing the machine to guarantee the stitch quality is perfect and the machine is humming along nicely. How do I know if my machine only needs a base service or something additional? What if I don't need my machine serviced, only a part replaced? If your machine doesn't need a service but you need a part installed that requires the machine to be taken apart, it will be the same as a service charge. Since it still requires the time and skill needed to take apart and put back together (correctly) and make sure all the parts are working together in harmony. While it is taken apart he will also clean any debris and add any oil needed and make any other adjustments he sees while it's taken apart. 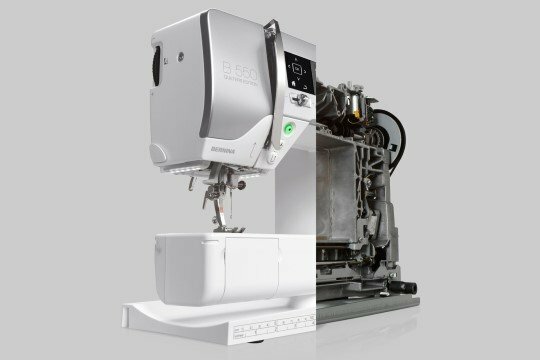 If you insist on only wanting the part replaced, we recommend you wait until your machine needs service and the tech will replace the part(s) at the same time. What if I only want to talk to the tech? Ted comes once a week, usually at 5 am so he can work in the peace and quiet and get as much done as possible without distraction. He is a free-lance technician, not an employee. He does not work in the store front but in the back in our repair room. Since he does not get paid hourly, but by machine, he asks us (the employees of the store) to test every machine and what to look for, and to write up the most thorough estimates we can. If we pulled him to give estimates and write up machines, he has less time to work on machines and will get less machines done. As a courtesy to him, we ask that you entrust us to handle the paperwork and we promise that your machine will see him sooner if he has less interruptions. I bought my machine at another dealer, but it's a brand that you sell, shouldn't my warranty apply? Unfortunately when a dealer sells a machine, the profits don't go in a community bank that is shared by all dealers to pull from in case of warranty issues. The warranty on parts is usually from the sewing machine company itself, and if so, they will cover the expenses from any parts, but they do not reimburse for labor. That is expected to come out of the pocket of the dealer that made the sale. So although we would like to help honor your warranty, we cannot stay in business if we are paying out of our pocket to fix your machine. Dale is our talented vacuum repair man. He use to own his own vacuum shop before deciding to do freelance repairs instead. He comes into the store on every Thursday to handle all of the repairs we've gotten in for the week and to answer any difficult vacuum related questions we might have. 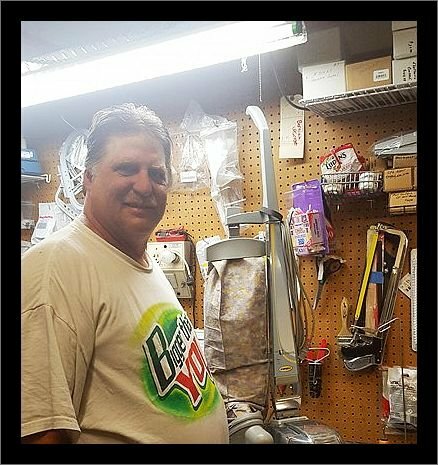 If you catch him when he's not working on a vacuum in the back repair area, he is always super friendly and knowledgeable and quick to recommend the best fix for your vacuum related problems. How much do we charge to estimate and figure out what is wrong with your vacuum? Do you need to make an appointment to bring your vacuum in for us to look at? Our estimates are always free and you don't need to make an appointment. You can come in anytime during business hours and any store employee can give you an estimate and write up the repair for you. If you decide that the cost of repair or service is too expensive you may take your vacuum back home with you and there is no charge at all. Base service charges start at $50 and go from there depending on if you need parts. Once you leave your vacuum with us, it gets entered into our system and put in line with the other repairs. Dale comes in on Thursdays and works on all the vacuums according to where they are in line. Unless parts need to be ordered, your vacuum will be done and ready to pick up in a week or less. 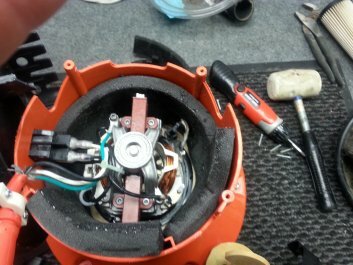 So what do you need to bring with you to leave your vacuum for a service/repair? If you have an upright, you only need to bring your upright itself. If you have attachments you can leave those at home, we don't need them and we don't want to accidentally misplace them. If there are any broken pieces that need to be replaced, bring in the broken pieces so we can better identify what piece needs to be replaced. 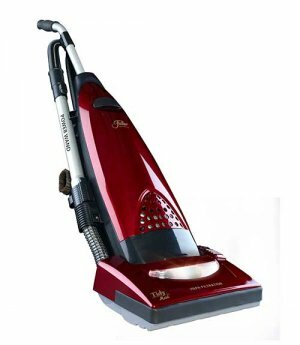 If you have a canister vacuum bring the canister vacuum as well as the hose and the power-head so that we can test all of the components together. It is hard to identify and fix a problem if we can't run the vacuum. Again, if you have any attachments, leave those at home. If there are any broken pieces, bring the broken pieces with you for us to see.